Large size, but slender and lightweight build. Cyan-striped skin with bio luminescent spots. Reinforced skeleton and musculature leads to impressive durability and strength. Feline features. Pandora's higher air density and unique atmosphere makeup means that Na'vi must have breathing apparatus' when in Citadel-standard air, or they quickly grow dizzy and asphyxiate. Because of their natural exposure to Unobtanium and Element Zero, they are Eezo-Resistant, and thus cannot be Force-Active or Biotic. As a pre-spaceflight society, Na'vi are rarely seen off-planet and their artificial introduction to the Citadel species is a hotly contested issue. The Na'vi (English: The People) inhabit the lush jungle moon of Pandora. Pandora's atmosphere is dense and strange in composition, containing high instances of xenon, carbon dioxide, and hydrogen sulfide. Pandora orbits the gas giant Polyphemus, and gained intense notice as a location in the galactic community after the discovery that the planet contained massive amounts of Unobtanium- a material that can be used to easily synthesize Element Zero, perhaps a result of the strong electromagnetic activity between Pandora and Polyphemus. 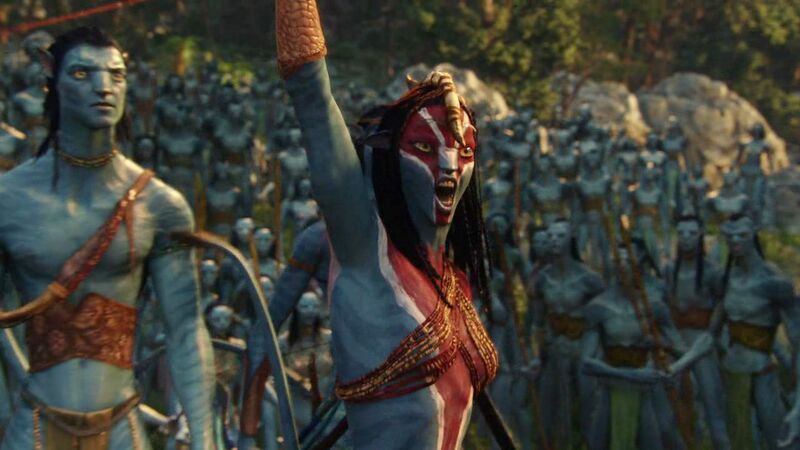 As a result, the Na'vi- and all other life forms on Pandora, are Eezo-Resistant, naturally using small amounts of unobtanium in their biology in superconducting form. Also as a result of this, there are landmasses prominent on Pandora known of "flying mountains" or "flying islands" that have naturally-generated Mass Effect fields that allow for them to hover over the landscape. These are usually stable, but are unpopulated by Na'vi as they have been known to lose power, or collide into each other. Na'vi live in every biome on Pandora, but are most heavily concentrated in the massive jungles. They live in tribal groups, usually centered around massive hollow trees- Hometrees, where the entire tribe lives. They have a very strong, tradition-centered society with deep-rooted beliefs and a strong focus on one's place in the ecosystem. Although largely peaceful, Na'vi are not above inter-species warfare, or aggression towards one another or different groups. 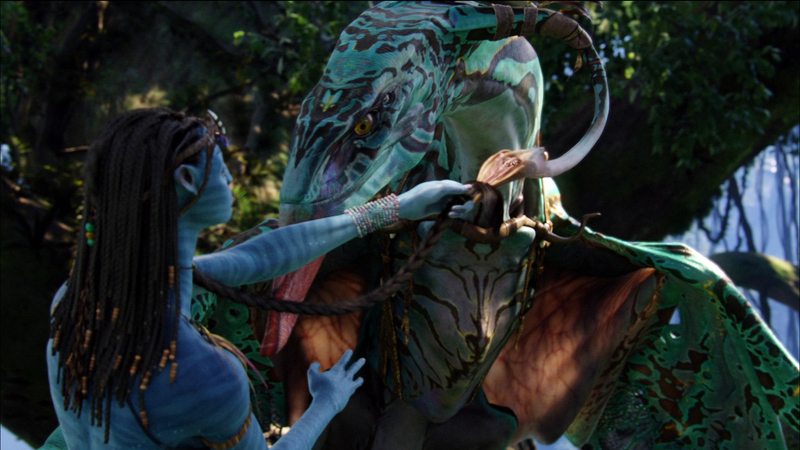 Like all life forms on Pandora, Na'vi are capable of physically linking their nervous system to one another, other species, plants, and even to the planet itself. This allows them to share the mind and sensations of others, and they use it to control animals and plants for food and mounts. As discovered by the first Asari scientists to study the connection between Na'vi and the planet, it was determined that their spiritual figure- Eywa -was the consciousness of the massive planet-wide neural network that acts as a sort of control measure for all life on the planet. In essence, the entire planet is a massive AI, formed out of the minds of every living creature on it. The consequences of this range form comforting to terrifying, once one realizes that this means "eywa" can correct individual issues, and guide evolution artificially. Eywa is also believed to store the collective memories of all life on the moon.